Do you want to earn money by selling accommodation from your website? With online accommodation bookings now a multi billion dollar industry that is growing exponentially year by year you will need to take advantage of the eTourism Partners Program. Here is a great opportunity for you to maximize your income potential from your website. Just join the eTourism Partners Program and every time that a click through link from your website generates a qualified confirmed booking you will earn a referral fee of 6% to 10%. Your referral fees will add up quickly, we make it easy for you to track your referral fees through the systems tracking and monitoring software you will be able to view your click throughs and sales. 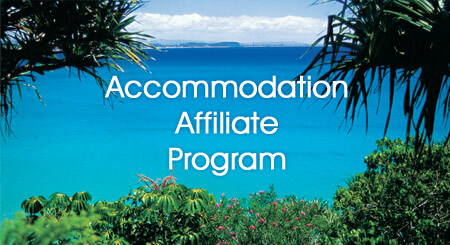 The eTourism Partners Program offers a large range of quality hotels, resorts and apartments throughout Australia. Boost sales and increase your property's exposure on the web. The eTourism Partner Program provides commissions for referals made to any of the eTourism Properties using the ELRes Booking Engine. For more information about any eTourism products please go to www.etourism.com.au. For further requests relating to the Partner Program please Contact us.